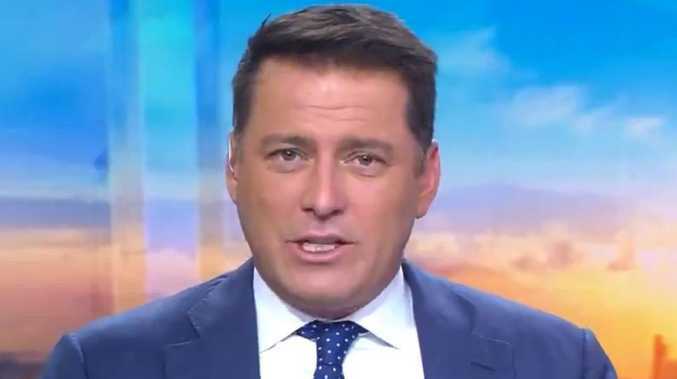 THERE'S nothing like a bit of uncomfortable laughter on live television to get your Monday morning going - and Karl Stefanovic has delivered. 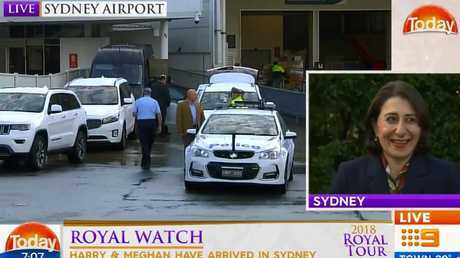 This morning, the Today host used a live interview with NSW Premier Gladys Berejiklian about the arrival of Prince Harry and Meghan Markle to segue into a much more dangerous topic: the recent Everest controversy. 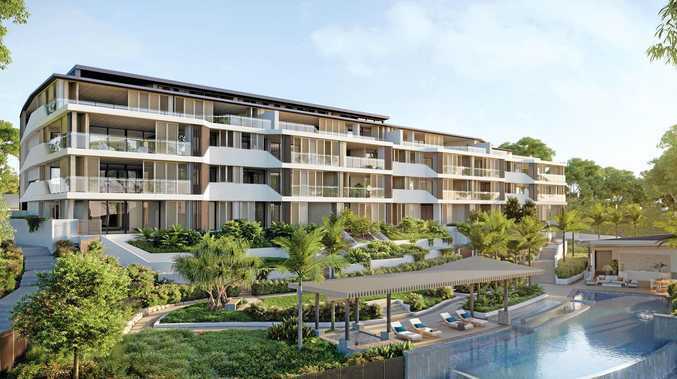 "Premier, I did hear on the grapevine one of the surprises is you'll be shining the British flag on the sails of the Opera House," Stefanovic said. "Well it's on the public record that we're actually putting up the INVICTUS flag, so … we're actually putting that up on the Harbour Bridge, so, yep," responded Ms Berejiklian, with an air of fake enthusiasm. "Nice try Karl," co-host Georgie Gardner said. "OK, awkward laughter," concedes Stefanovic. "From you or from me?" 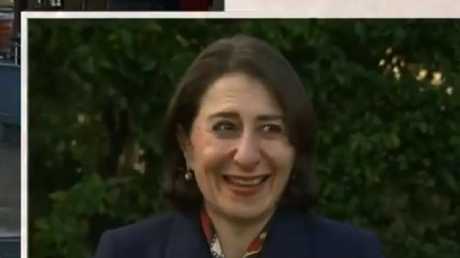 says Ms Berejiklian, prompting … even more uncomfortable laughter. Lasting several seconds. Someone gives a slight snort at the very end, as if to puncture the very real sentiment that every person who is now part of this exchange would much rather be burrowing into the dark inside pockets of Ms Markle's hand luggage. Last week thousands of outraged Sydneysiders took to the iconic building to protest over a six-minute light display promoting the $13 million horse race. 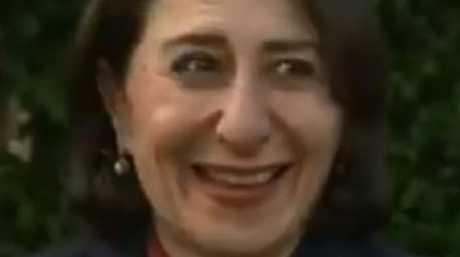 But the NSW Premier refused to rule out using the Sydney Opera House to promote other events. "Obviously we are always about supporting events. I hear loudly what people have said about the Opera House," she told Today last week. "The Opera House guidelines have from time to time been amended, whether it's for other sporting events or other causes. The guidelines have always been stretched in the part and the commercialisation of the Opera House has always been there. "I don't want NSW to fall behind because other cities and states are promoting these events. These are issues that we take on board."